On Friday I went to the Lac La Biche Christmas craft sale that was held at the McArthur Place. I am so happy for the handmade things I found. I bought pantoufles (French for slippers) to send them to some of my Japanese friends in Japan. Can you believe each pair was only $4! 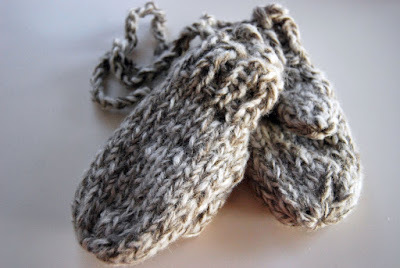 I bought a lovely pair of 100% wool mittens for Lucius. And I bought some beautiful crocheted snowflakes ornaments from this nice elderly lady. I had no idea you can crochet such things. I googled and found some patterns. I asked the lady how she gets them stiff. She told me all you have to do is boil some sugar and water. 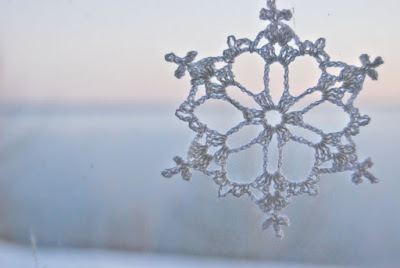 Dip the crochet snowflakes in the sugarwater and place them on a flat surface to dry. That sounds easy enough doesn't it? 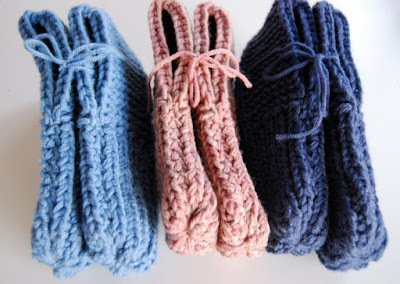 Another thing to add on my long list of crafts to try. You can also stiffen them with laundry starch, in the same manner. Ever since I had learned to crochet I had wanted to try making snowflakes like these, and last year I finally did. I bought some stiffening spray at JoAnns to use because I heard that the sugar water could attract bugs. I had them hanging on a window though and the dampness made them loose some of their stiffness. I'll have to spray them again. Hi, it is allot more difficult than just boiling sugar and water and dipping them !! lol You have to get the right amount of each, boil it to just a certian point. Let it cool, pour in wide top jar. Then you put in a few snnowflakes, get them soaked and squeeze as much as you can out. Then you take them to a wooded board, made of soft wood like pine, and you use the large quilting pins and you pins then ends of the snowflakes down. Now if you havem made the sugar solution correct they will harden. It is 1/3 cup sugar, 2/3 c water. I can at least give you that much of the recipe. I cannot give you more at this time because I plan on having it come out in a book soon. The sugar solution will keep them hard and they do not attract bugs. They are the safest ornaments you can have on a tree with little ones because they don't break,(it they bend you get them a little moist and lay to dry and they re-harden) and they won't hurt a child if they put them in ther mouth. You just need to store them in zip lock bags so they do not loose there stiffness or turn a brownish color after many many years..